Zimbabwean rescuers pulled out eight illegal gold miners alive who were earlier this week trapped in flooded shafts. A miner gets ready to descend into a mining pit during a search-and-rescue operation at Cricket Mine in Kadoma, Mashonaland. 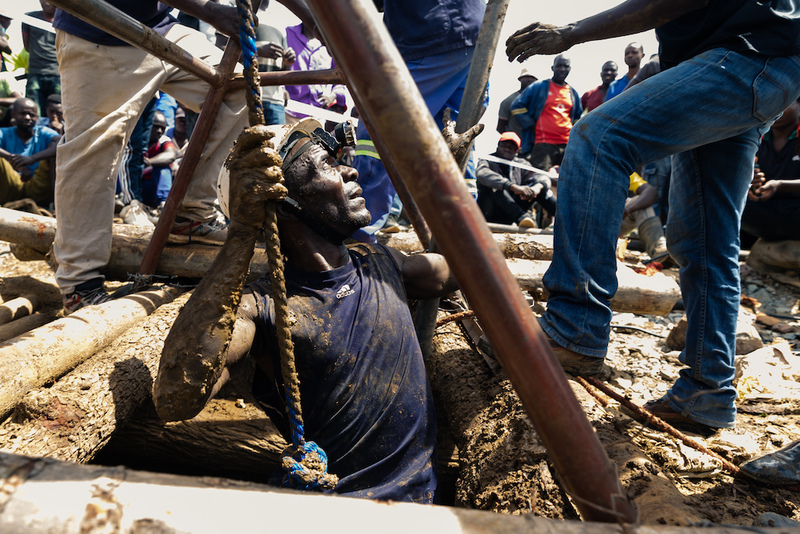 BATTLEFIELDS, Zimbabwe – Zimbabwean rescuers pulled out eight illegal gold miners alive on Saturday out of about 70 people who were earlier this week trapped in flooded shafts, in an accident that the government has declared a disaster, officials and witnesses said. The accident in Battlefields, 175km west of Harare, happened on Tuesday night and has shone a light on the dangers facing illegal gold miners, who last year contributed a large part of Zimbabwe’s record 33 tonne bullion output. “So far we have managed to bring out eight miners alive and we are yet to assess and find any more people down there who are still alive,” Tapererwa Paswavaviri, the government deputy chief mining engineer told reporters at the accident scene. The miners, who were covered in mud, were whisked away by officials before speaking to reporters. Rescuers briefly stopped operations due to rain. Local Government Minister July Moyo said in a statement on Friday the government had declared the incident a disaster and that up to 70 people could have been trapped in the pits. The pits are dotted around a clearing some 8 km from the main dirt road. On the edges are shacks made of plastic which serve as accommodation for those digging for gold. Anxious relatives and other miners have continued to camp at the mining site hoping to see their colleagues amid frustration that the rescue process was taking too long.